The New England Patriots have traded second-year quarterback Jacoby Brissett to the Indianapolis Cots in exchange for wide receiver Phillip Dorsett. The deal was announced Saturday in advance of the deadline for NFL teams to set their 53-man rosters for the start of the regular season. Dorsett attended the University of Miami and was the 29th overall draft pick in 2015. He has appeared in 26 games. Last year, Dorsett caught 33 passes for 528 yards and two touchdowns. The trade fills needs for both teams. By bringing in Brissett, the Colts add some depth at quarterback with Andrew Luck still working his way back from shoulder surgery. 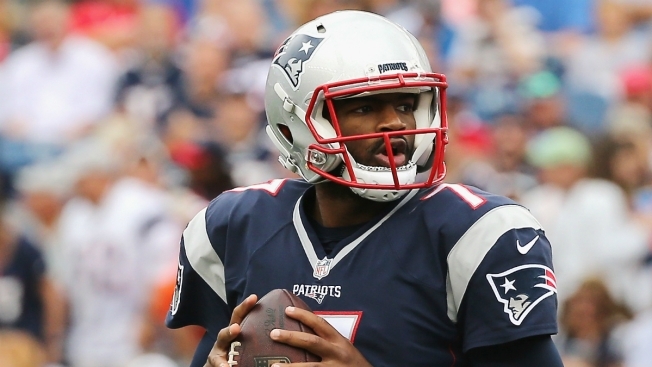 Brissett, a third-round pick in 2016, is remembered by Patriots fans for his part in three, regular season games during quarterback Tom Brady's "Deflategate" suspension. He started in two regular season games against the Texans and the Bills before being placed on injured reserve to make way for the return of Brady. By adding Dorsett, a first-round draft pick in 2015, the Patriots get another capable pass catcher with Julian Edelman out for the season with a knee injury.